SITE123 almost crests the hill as one of the best site builders considering the cost, features, and ease of use. It just needs better analytics and some quality templates. Still, it’s a great choice for those who seek simplicity, and it even has some impressive ecommerce functions. SITE123 is built on simplicity. 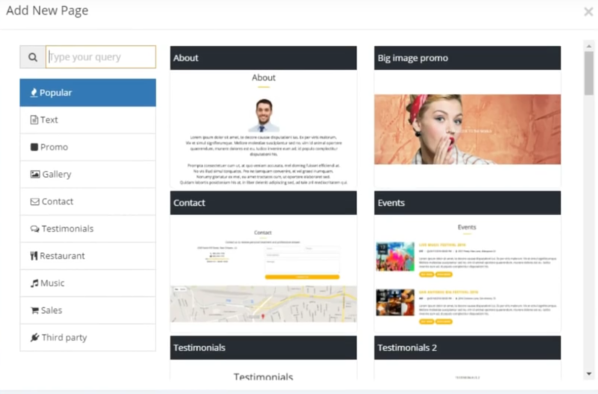 Not only is the website builder designed in such a way that anyone can use it, but it even comes equipped with an advanced wizard that guides users step-by-step through the process. Even the most technically inexperienced user can build a professional-level website in minutes by simply following the instructions on the screen. Although SITE123 is remarkably easy to use, that doesn’t mean it’s devoid of features. The platform is equipped with hundreds of customizable stock images, professional shopping cart functions, and even email marketing tools for those users who are serious about spreading the word. Paying customers are even given a free domain name as an added perk. Though SITE123 is deceptively simple to use, the platform offers a few crowning touches that many of their larger competitors still don’t have. For example, all of the layouts are built with responsive design, which means that sites automatically adjust to different screen sizes. Any website built with SITE123 looks and functions beautifully on a desktop, laptop, tablet, or mobile device. In addition, SITE123 enables users to create slick image galleries that can be customized with different sizes, shapes, and styles. This is great for sites with a strong visual element, such as artist portfolios and travelogues. A user can even create a photo or video background to truly bring their website to life. Templates are probably the one area where SITE123 comes up a little short. While other site builders offer massive galleries of pre-made templates that are tailored to specific needs and industries, SITE123 doesn’t have templates in the traditional sense. 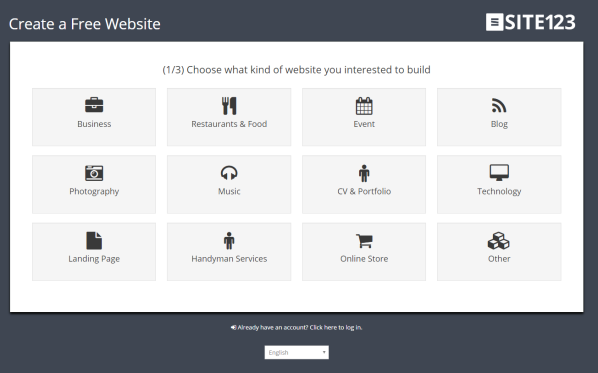 What it does have is a small selection of layouts for different types of sites. As a user chooses their layout, the placement of navigation and content modules is adjusted accordingly. The differences from one layout to the next are pretty small, and all other visual design elements are under the user’s control, customized using the database of images and icons. That all amounts to greater customization potential for the user, but there aren’t any templates designed specifically for industries or business types like, say, legal or construction. Again, not a deal breaker, but it means that most users will probably have to put some extra time into fine-tuning the visuals on their sites instead of just choosing a great template and calling it a day. It doesn’t get any better than free. The basic plan with SITE123 is absolutely free and doesn’t limit any of the available features. It does have SITE123 branding on the site and a greatly reduced storage capacity and bandwidth (500MB storage; 1GB monthly bandwidth), so for users who have a lot of storage needs or expect a lot of web traffic, this probably isn’t the best plan. Thankfully, SITE123’s Premium plan increases the user’s storage capacity to 10GB and their bandwidth to 5GB. At $9.80 per month, though, it’s not a price that blows away the competition; there are some slightly cheaper site builders with similar feature sets and more templates. For the price, we would expect to have a bit more variety in design elements, but the platform still has plenty to offer. There’s no contract or add-on features, so the cost will never exceed the standard monthly rate. The Premium plan even includes a free domain name. SITE123 has one of the most straightforward and easy-to-use interfaces we’ve seen in a site builder tool. The left-column navigation is clearly labeled and includes an expanding menu for each tab that’s selected. This navigation makes it simple to move between elements while editing the segments on a page. Once all of the necessary changes have been made, just hit “Publish,” and the content goes live. Signing up is also extremely simple. In just a few minutes, a user can get into the system by signing up for a free account and verifying their access. A user can gain access to additional features by upgrading to the Pro plan. SITE123 has a fairly solid feature set that’s comparable to a lot of others in the industry. A user’s account grants them access to the online image and icon gallery to help them flesh out their content. This is great for users who don’t have a lot of image assets at their disposal. There are also some search engine optimization tools (SEO) to help improve the organic search visibility of a website. Unfortunately, there’s really no technical optimization available here, but the keyword tool makes it easy to keyword-optimize a website, and the sitemap generator ensures that every website has its own sitemap for easy Google indexing. Still, it would have been great to see a more robust tool that measures the quality of a site’s on-page optimization after content is written. For more knowledgeable marketers and entrepreneurs, a SITE123 account also comes with the ability to host a blog, an online store, and email marketing campaigns. There’s even a suite of video and audio tools so that users can add richer media to ramp up customer/visitor engagement. Some analytics tools would have been great to see bundled with the system along with more third-party app integration. Any kind of application integration would allow for so much more customization and depth in an already multifaceted website builder. We were also pleased with the functionality of SITE123’s ecommerce integration. Just like with the regular pages on a site, the user can customize the look and feel of an online store. On the back end, the user can easily manage products, and there’s no limitation to the number of products that can be sold. We were a bit disappointed by the lack of any real tutorials or support content. Once the user signs up, the wizard is their only real source of guidance. If a user does get hung up or have questions about certain elements, there’s no customer support phone number or knowledge base to help. The company can be contacted at support@site123.com, and anyone can use the contact form on their Contact Us page, but they make no guarantees about response times, and they don’t list any hours of operation. They also have a Live Chat, but responsiveness varies based on the time of day and the day of the week. Most questions are addressed within one business day, but that’s of little comfort to a user whose site suddenly goes down in the middle of the night. 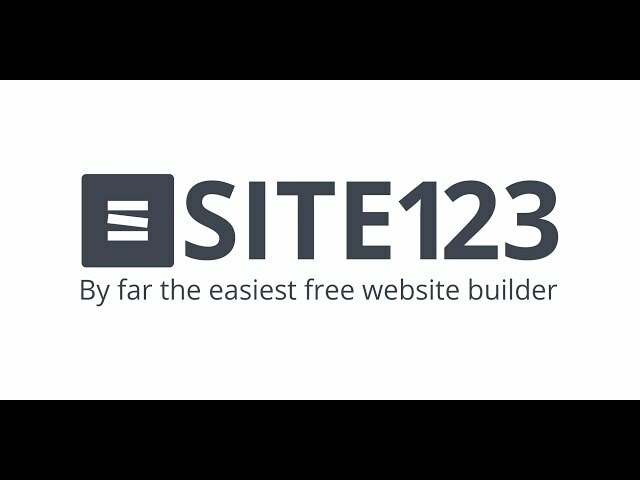 SITE123 is a very well-rounded website builder with a good selection of features that anyone can pick up and start using. While there are no ready-made templates for specific industries or businesses, users do have the freedom to customize most page elements. Best of all, these customizations are extremely easy to make with the help of the platform’s helpful wizard guiding every step. The inclusion of a robust ecommerce store puts this website builder over the top for anyone selling products online. With the ability to accept payments, offer discount codes, and manage inventory, it’s an impressively flexible platform for small businesses, especially for the price. Yes, SITE123 may be missing a few features, and the customer support could definitely use an upgrade, but all things considered, this platform offers a pretty incredible value. Founded in 2016, SITE123 was established with the goal of simplifying the process of building a website. The company seeks to provide users of all levels—from the hobbyist to the CEO—with the ability to create beautiful free websites that fully meet their needs. SITE123 currently doesn’t list a physical address on any of its web properties. Anyone who needs to get in touch with the company is encouraged to use the contact form or visit one of the company’s social media profiles.